Jenn Triggs launched this winery in 2014 as Phasion Estate Winery. Perhaps it was not the best of winery names. Until I was corrected, I pronounced it as “Fay -see-on” winery. I may not have been the only one making that error. The current releases are now coming out under the Fashion Estate label. After al, Phasion was meant to be pronounced as fashion. Jenn was born in Victoria but grew up in Calgary, to which her mother had moved after a divorce. 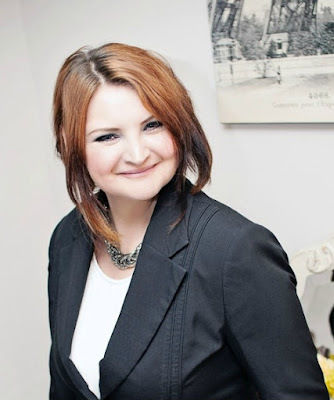 Jenn initially pursued a career other than wine, working with Telus Communications Co., where she was doing health and safety training. “I was going through some transition in my personal life,” she says. “I was looking for a career change. I have always had a passion for this industry in regard to the history behind it; and a passion for wine.” She has since moved to the Okanagan to pursue that passion. The names of Jenn’s wines reflect her in the arts as expressed in fashion and fashion accessories. 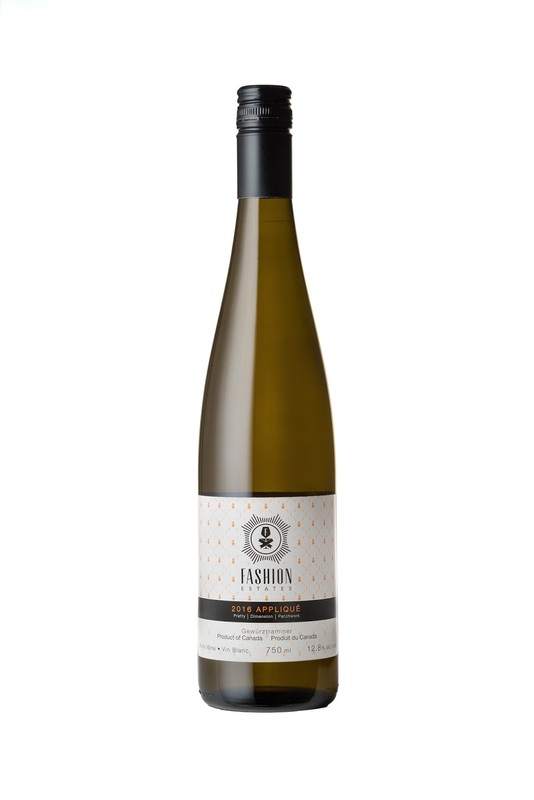 The names of her wines are influenced by the interest in fashion. “Wine and fashion share a lot of common traits between each other as they are present and enrich our lives by sharing in our experiences and self-creativity,” she says on her web site. “I launched July 1, 2013 with wines from 2011,” Jenn says. “My first releases were the 2011 Haute Couture, the Bordeaux blend, and my Tres Chic Chardonnay.” She has since added a second Bordeaux blend called Glitterati. She called her Pinot Gris Iridescent. The most recent releases continue the tradition of arty names. Fashion Appliqué 2016 ($18.99 plus tax). This is dry and refreshing Gewürztraminer. It begins with spicy aromas and delivers flavours of lychee, pineapple and citrus, with a crisp finish punctuated by the variety’s classic hint of ginger. 90. 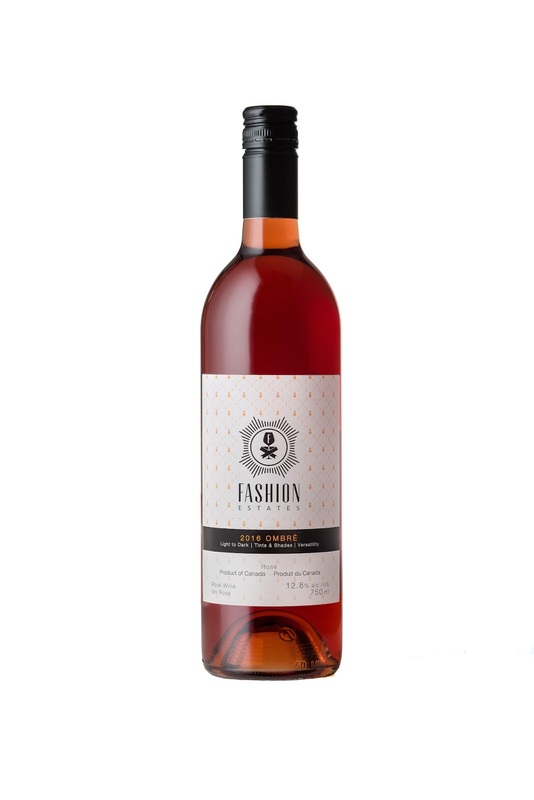 Fashion Ombré Rosé 2016 ($17.99 plus tax). This is a full-bodied dry rosé, robust enough for drinking with food in the winter. It has aromas of cherry leading to flavours of strawberry, cherry, orange and spice. 88.